In 1961, American President John F Kennedy announced his aim to land a man on the moon and return him safely to Earth before the 1960s ended. The Saturn V rocket launched from the Kennedy Space Center on 16th July 1969. On board were three astronauts (commander Neil Armstrong, lunar module pilot Edwin 'Buzz' Aldrin and command module pilot Michael Collins). Their mission was named Apollo 11 and had been organised by NASA - the American space agency. Three days later, they entered Lunar Obrit, with the Landing Module separating a day later to make its descent, whilst the Lunar Commander (with Collins in command) stayed in orbit around the moon. During the landing there were several problems with the mission computer and to avoid a crash, Armstrong had to take manual control of the landing craft. They eventually landed with only 25 seconds of fuel left. Aldrin and Armstrong spent two and half hours exploring the moon. They performed many scientific experiments, including the the collecting of Lunar rocks and dust. While preparing for take off Aldrin accidentally broke the circuit breaker in the ignition circuit. 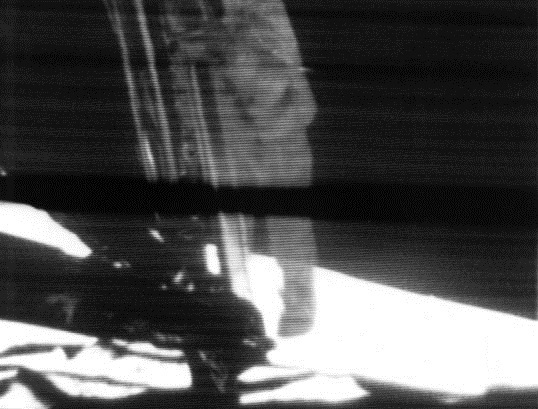 Armstrong had to use a felt tip pen to bridge the gap and prevent them from being stranded on the moon. They left many objects on the moon including: an American flag, a few experiments and a plaque bearing a statement from the human race. On 24th July the crew returned to Earth and were immediately placed into quarantine as NASA scientists were afraid that they may have been exposed to unknown viruses or diseases while on the moon that could be dangerous to humans. Upon their release three weeks later, they were treated as heroes around the world.